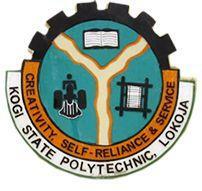 Kogi State Polytechnic (KSP) admission list is out for ND full-time canddiates. In other words, the KSP National Diploma (ND) admission list for 2018/2019 academic session has now been officially released on school portal. All candidates that applied for admission into National Diploma programmes the polytechnic should therefore take note. In light of this development, they can now check their admission status on the KSP portal. The process for printing KSP admission letter is also out. Firstly, go to Kogi state poly admission status checking portal at http://portal.kogistatepoly.edu.ng/legacy/viewadmittedstudents.aspx. Next, Select your session i.e. 2018/2019. Choose your Mode of Study i.e. Full-Time. Select your Programme i.e. ND. Finally, click on “View Admitted Student” to check for your name on the list. Note: successfully admitted candidates are to proceed to print Kogi State Poly Admission Letter. Candidates are required to authenticate the printed Admission Letter at the Admission Office on main campus, Lokoja. Candidates are to also report to their various departments before proceeding with payments and registrations. Congratulations to all candidates whose names are on the 2018/2019 ND admission list of Kogi State Polytechnic (KSP).